Break open the cemetery gates and make a deal with the Midnight Pimp of the Graveyard! 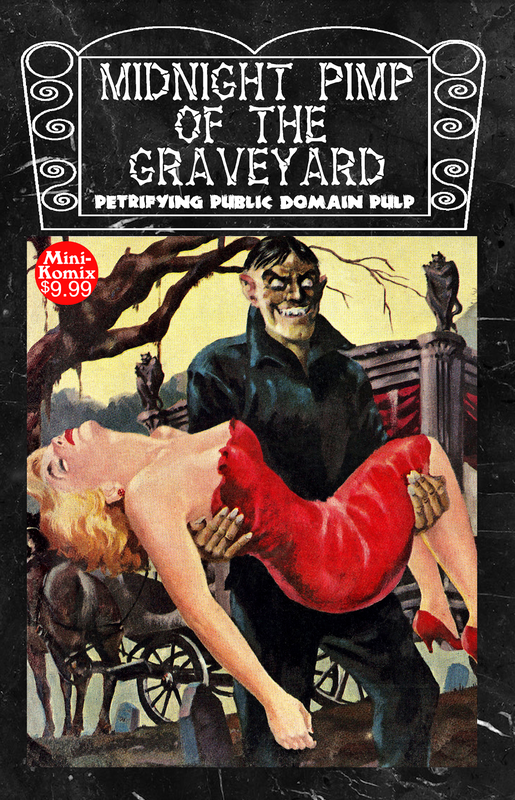 Petrifying public domain pulp of ghoulish ghosts, wicked witches, vengeful vampires, flipped fairy tales, nasty Nazis, lethal love stories, murder mysteries, and gory graves! Fantastic fears for all ages! This full-sized one-shot is now in print through us, as well as Lulu, plus print and download at Drive Thru Comics and Indy Planet.